LEGO City 4439 Heavy-Duty Helicopter review! This one's a viewer request special! Released in 2012 and titled "Heavy Lift Helicopter" in some regions, this Forrest Police-themed set isn't new, but it's still on shelves at local stores in my area. You asked for it, you got it! 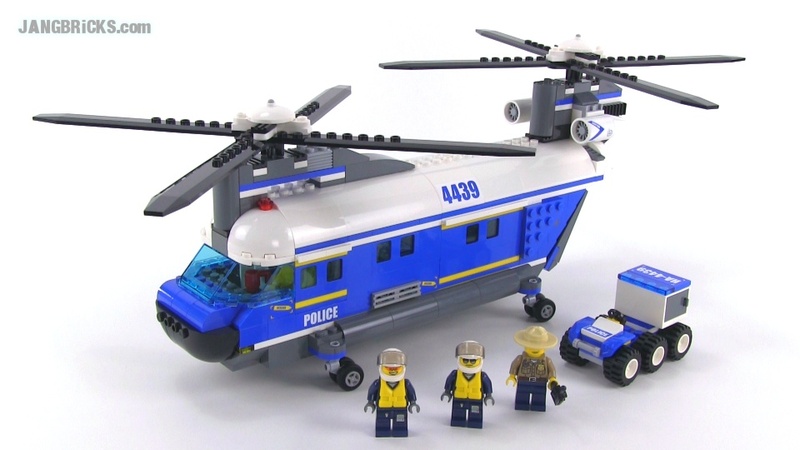 Video: LEGO City 4439 Heavy-Duty Helicopter review! The Heavy-Lift Helicopter flies over the forest treetops in search of the pesky robbers. Help the pilots with the forest policeman on his ATV! It won’t be long before they track down those pesky robbers. Load the ATV into the heavy lift helicopter! Seat 3 minifigures in the cockpit! Hey Jang, just wondering if LEGO is planning on coming out with a tree harvester to match the loader.